The purpose of this article is to stress the importance of creating a stream of ever increasing passive dividend income. 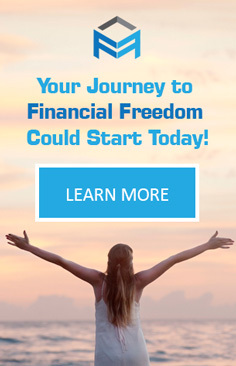 In order to help you in this regard you need to take the advantage of TIME hence the importance of starting early in life on your Journey to Financial Freedom. I have absolutely no idea who reads my articles but hope a segment is on younger side. The reason for this is that to truly experience the wonders of what I discuss in this article requires the benefit of TIME. When I began my banking career a few decades ago I very quickly came to the realization that I was vulnerable. I was vulnerable in that I was merely trading time for money. My ability to trade time for money was entirely dependent on my performance and/or a decision made by someone above me on the corporate ladder. I started my banking career in 1980 and I can assure you the Canadian banks certainly did not have the same level of turnover as they do now. In fact, turnover in the corporate world was considerably less than in the current environment. Times have certainly changed. The corporate culture in general has changed over the past few decades. What I found as time progressed is that good employees were packaged off for reasons other than for poor performance. When I graduated from my MBA program in 1986 I decided to use the knowledge I had acquired to help me diversify our sources of income. The path I chose was to invest in high quality companies which distributed a portion of their earnings in the form of dividends where dividend growth outpaced, or at least equalled, the rate of inflation. You have to remember that back in the 1980s the interest rate environment was extremely different from today’s environment. Interest rates in Canada were in the teens and the cost of living was increasing at a far more rapid pace than in the low interest rate environment we have experienced over the last several years. Unless my income outpaced the cost of living at the level of the late 1980s I could very well find myself in the predicament of having more month than money much earlier than I had ever anticipated. I suspect you understand what I am talking about if you have been around for awhile. If you are much younger, however, what I am discussing might be totally foreign to you or you may find it totally irrelevant. I strongly suspect you’ll change your outlook as time goes on. Since I certainly did not want to find myself in the predicament of having more month than money by the time is was too late to do anything about my situation, I decided to focus on investing predominantly in high quality companies with a history of rewarding shareholders with dividend increases which equaled, or outpaced, the rate of inflation. I say that I invested predominantly in such companies because on the very rare occasion I, regrettably, deviated from this strategy and invested a little bit of money in less than stellar companies. In addition to diversifying my source of income through investing in highly quality companies, my wife and I also branched off into residential rental property ownership over a decade ago. Despite our success with residential rental properties (we have had great tenants) we have found that this source of income occasionally requires some work on my part. In addition, in its infinite wisdom, our provincial government decided several years ago to limit the extent to which landlords could increase the annual rent from existing residential tenants. This is why we chose to rent to graduate students who attend one of Canada’s premier universities. We actually want turnover because we can then increase the rent at a higher rate than if a tenant were to remain in the property for a prolonged period. We’re certainly happy to have tenants working on a 4 year Doctorate program, for example, but we certainly don’t want the same tenants for 10+ years. Heck, a sub 2% annual rent increase is a terrible way to try and generate an increasing stream of passive income. Back to passive dividend income investing. When my wife and I were much younger there were priorities in life to which we had to divert our after-tax income. The purchase of our home in 1990 resulted in us having to divert some of our after-tax income toward mortgage payments versus equity investing. Since being obligated to make mortgage payments for 25 years was not appealing we focused on significantly reducing our mortgage annually for several years. After 8 years…no more mortgage payments! During this timeframe, however, we still managed to allocate some of our after-tax income toward the purchase of shares in high quality companies. To be perfectly honest, watching the increase in the value of our equity holdings was like watching paint dry. Reaching the first $50,000 seemed to take an eternity! In order to help me compose this article I have referred to personal financial statements dated January 2, 1998 and April 2, 1999. On the 1998 statement I reported $255,400 in equity investments. On the 1999 statement I reported $271,200 in equity investments. I’m not joking when I say our progress was like watching paint dry! 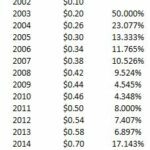 Once we fully repaid our mortgage in 1998, however, the pace at which our equity portfolio grew accelerated. I have no idea what happened to personal financial records for 2000 – 2006 but I have annual records dating back to early 2007. Our investment portfolio at the time? ~$700,000. 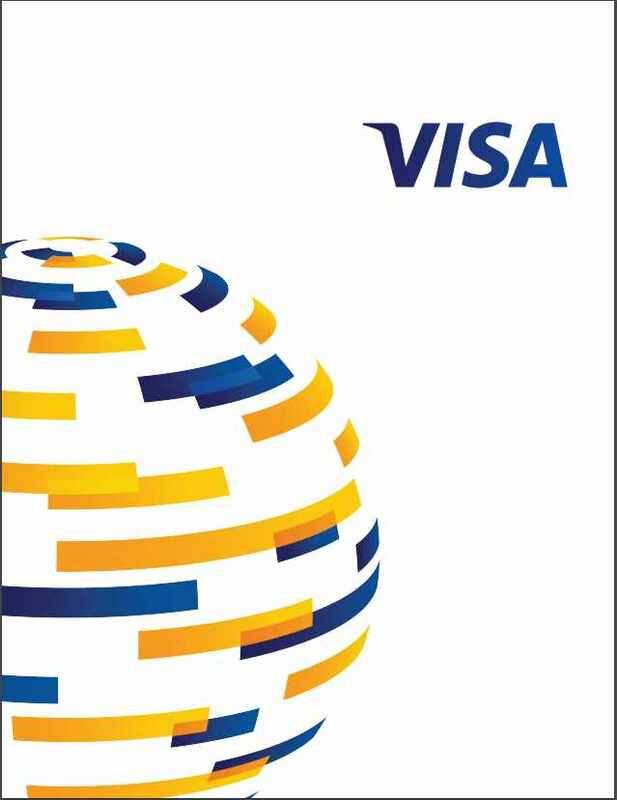 Fast forward to the end of 2014…more than 5 times the value of our early 2007 portfolio. Fast forward some more and the current day investment portfolio is in definitely in excess the 2014 year-end level. The growth in our investment portfolio is not what I want you to take away from this article. What I really want to impart in today’s article is the extent to which our investment in these high quality companies was able to help us grow our passive income. The objective, after all, was to ultimately have dividend income which would grow at a faster rate of inflation. 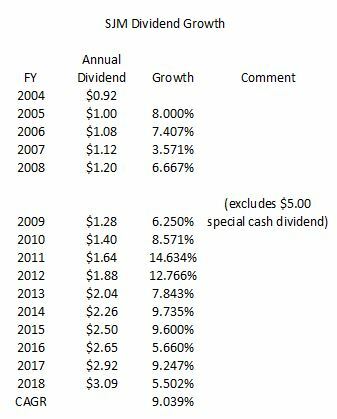 I didn’t start keeping detailed records of our dividend income until 2007. Those records reflect annual dividend income of just shy of $10,000. 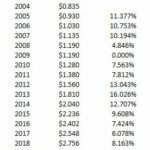 I totally understand why you may laugh at that figure because $10,000 in annual dividend income was a far cry of what we would require to sustain our standard of living on an annual basis. 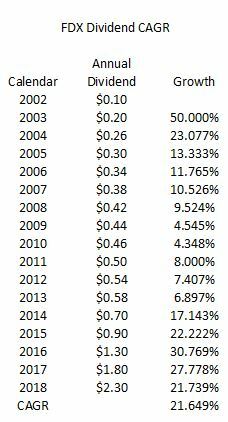 By the end of 2012, however, our investments were generating mid 5 figures of annual passive dividend income. By the end of 2014…high 5 figures. Presently….six figures. The reason I share this relatively confidential information is because I want to impress upon you, especially much younger readers, the importance of starting to save and invest early in life. If you are disciplined and live well below your means you CAN save and invest in high quality companies that continually increase their annual dividends. Keep detailed records and frequently look at those records to monitor your progress. YES…at the beginning you will very likely feel as if you are watching paint dry. At some stage, however, that growth in annual passive income will start to be more noticeable and you will/may be stimulated to be laser-like focused on quickly growing that passive dividend income stream. On a cautionary note, please do not try to accelerate that passive dividend income stream by investing in companies with high dividend yields. That is a recipe for disaster. If you are investing in companies with lofty dividend yields you are susceptible to a dividend cut. 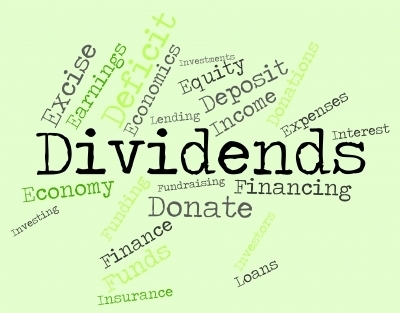 Dividend cuts are a great way to lose motivation on the ‘Journey to Financial Freedom’ through passive dividend income growth! Here is a partial list of the companies in which we have invested to help us achieve our objective. I can assure you we are not concerned about waking up one morning to learn that any one of these companies has just filed for creditor protection! So, you’re probably in agreement these companies are pretty respectable from a safety perspective. This article, however, is about passive income growth. How do some of these companies fare on this front? 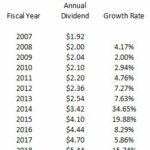 Well, I have randomly chosen a few companies from this list so we can look at the relatively recent dividend growth. Although we hold well in excess of 300 shares in each of these companies, I have randomly selected this number of shares for illustrative purposes. 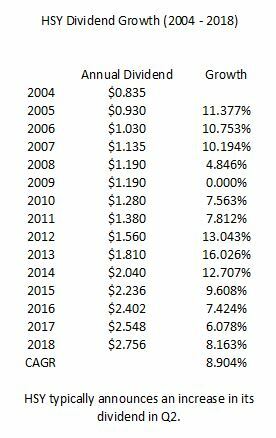 As you can see, the annual US dividend income will increase by just over $970 and the annual CDN dividend income will increase by almost $160. How much effort did we have to expend to generate this raise? None! 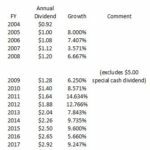 I also include compound annual dividend growth rate charts for 3M, FedEx, Hershey, and The J.M. Smucker Company which I have included in previous articles. 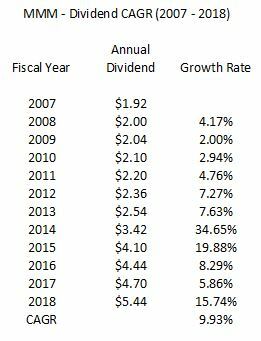 This way you can see the annual dividend growth over a protracted time frame. I know the analysis I have provided in this article is extremely rudimentary. My intent, however, is not to provide a detailed analysis but to get people thinking about creating a portfolio of high quality stocks which generates a passive stream of dividend income which outpaces the rate of inflation. It is entirely possible you are at a stage in life where you may not want to, or cannot envision yourself, stepping off the work treadmill. Quite frankly, some people reading this article may never want to stop working and there is nothing wrong with this. On the other hand, I think the vast majority of people envision themselves having the OPTION to step away if they so desire on their OWN terms at SOME stage of life. Living knowing that you HAVE to work is no way to live. So…ask yourself this. Do you want to start NOW to build some form of passive income that will replace your primary source of income if/when you do decide to step away OR do you want to start to build it when TIME is of the essence? Disclosure: I am long all companies mentioned in this article.